Xiaomi has announced that MIUI 10 has hit the 300 million user mark globally with 40 different devices now officially running its (stable) Android-based custom ROM. Xiaomi is now working on the next iteration of MIUI, aka MIUI 11. Although no specific details about MIUI 11 have been shared, company product planning department head, Liu Ming, said (during his MIUI Core Experience Annual Meeting address) it will be a new and unique OS from the get-go. MIUI 10 (beta) was first announced (and rolled out) in June last year. A global beta ROM was rolled out for users in India in the same month. It brought in lot and lots of AI smarts. Not to mention, a new look as well. Come to think of it, MIUI 10, is also a big visual overhaul to MIUI so it would be interesting to see what Xiaomi has in store with the ‘new and unique’ MIUI 11 OS. Xiaomi is also known to add India-specific features to its MIUI software before introducing it in the country, and with MIUI 11 it is expected to do the same. "MIUI 10 lets you create awesome AI portraits with beautiful bokeh effects," is how Xiaomi markets its MIUI 10 software, adding that MIUI 10 can use deep learning algorithms to make single camera Xiaomi phones click the same level (if not better) of portrait photos as one would using dual cameras. Apart from enhancing the camera performance, MIUI 10 also makes a classic case for bezel-less Xiaomi phones bringing even more gesture-based navigation control and a new vertically scrolling 'recents tab' intended for "maximising screen space." As is the norm with any new software update, MIUI 10 is also claimed to be faster than its predecessor MIUI 9. Xiaomi says that MIUI 10 is as much as 10 per cent faster than MIUI 9: bringing a reduction of load times to zero by "studying your behaviour and anticipating actions." 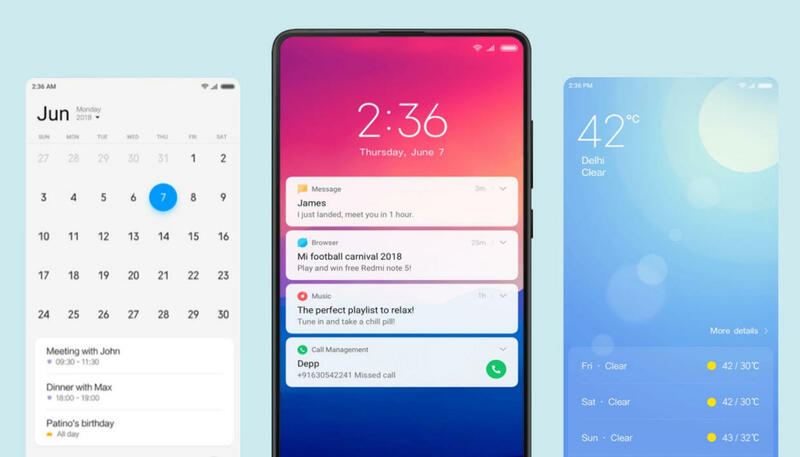 MIUI 11 is expected to add to all of this in significant ways, but users will be also hoping it that it would carry more transparent privacy settings so they would easily be able to opt out of personalized ads that Xiaomi is (now) known to push across the lengths and breadths of its operating system.